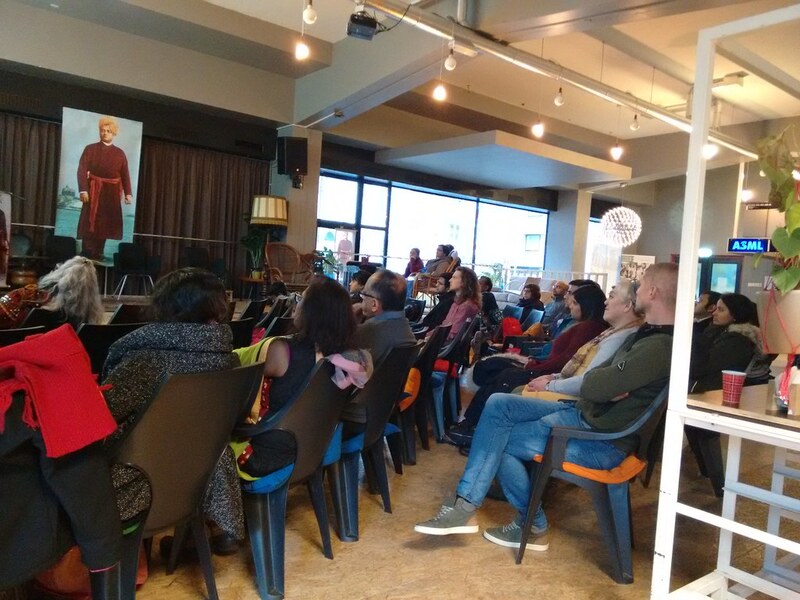 Ramakrishna Vedanta Society, Amstelveen, Netherlands celebrated the 125th Anniversary of Swami Vivekananda’s Chicago Addresses in 4 different places of the Netherlands. 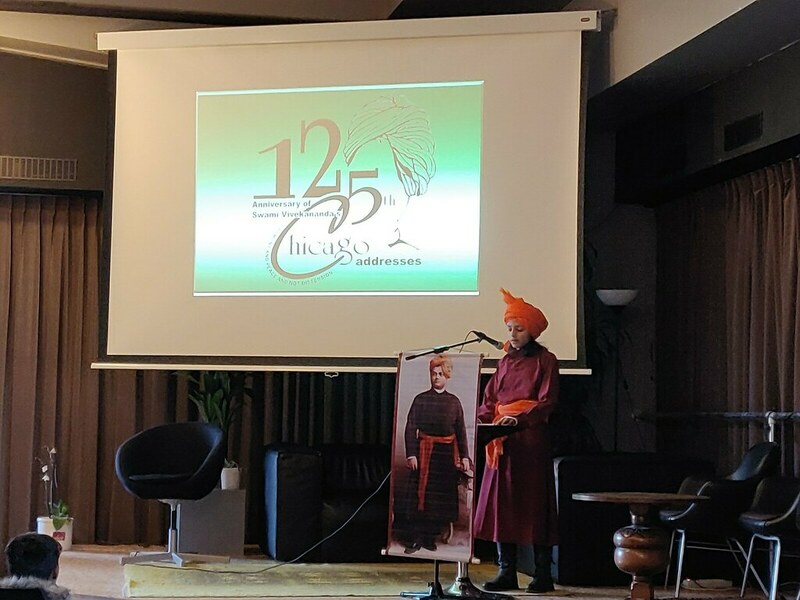 To create awareness about Sri Ramakrishna, Holy Mother and Swami Vivekananda, Ramakrishna Vedanta Society, Amstelveen, Netherlands, utilized the great occasion of the 125th Anniversary of Swami Vivekananda’s Chicago Addresses. 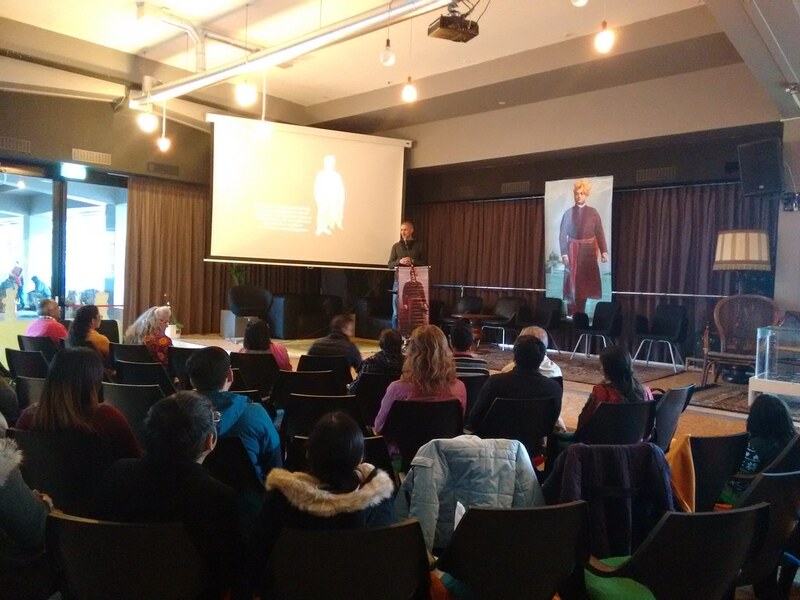 The Ashrama already celebrated Vivekananda Festivals in 3 different corners of the Netherlands – Amsterdam, the Hague, and Groningen. 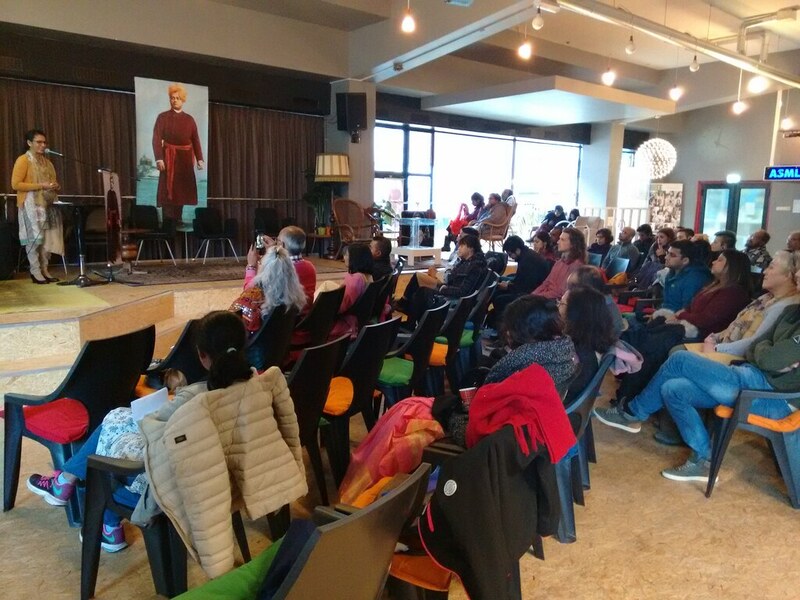 On 27 January 2019, Vivekananda Festival was celebrated in the most important city of Eindhoven. Though the weather was cold and it was raining, a good number of devotees attended the programme, and the event was a grand success. The programme had been organised in The Hub, a hall at the heart of Eindhoven city. The first session was dedicated to Swami Vivekananda. After an excellent invocation song dedicated to Swamiji by Smt Anindita Bhattacharya, Mrs Mary Saaleman welcomed the audience and spoke about Swamiji. 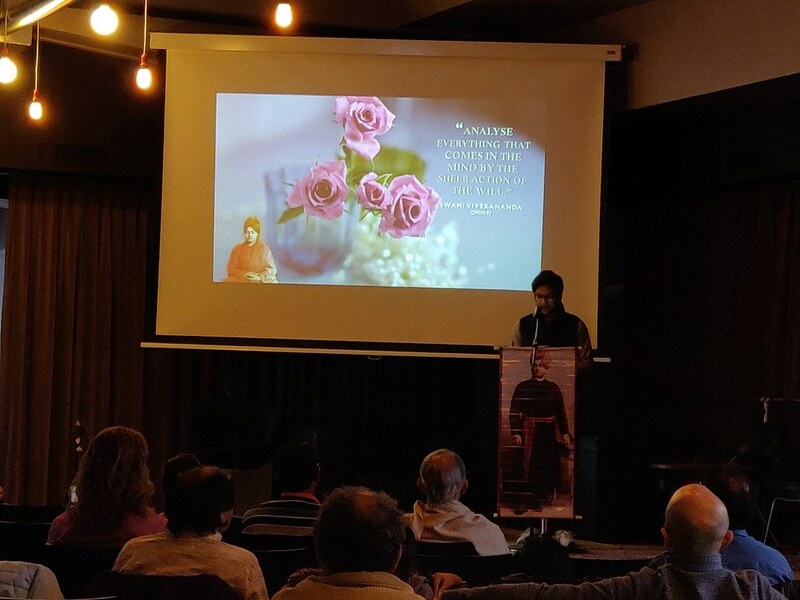 Mr Debjyoti Basu, Mr Neel Kamal Biswas, Mr Kabir Roy Choudhury and Mr Vinod Nigade highlighted four different parts of Swami Vivekananda’s life. 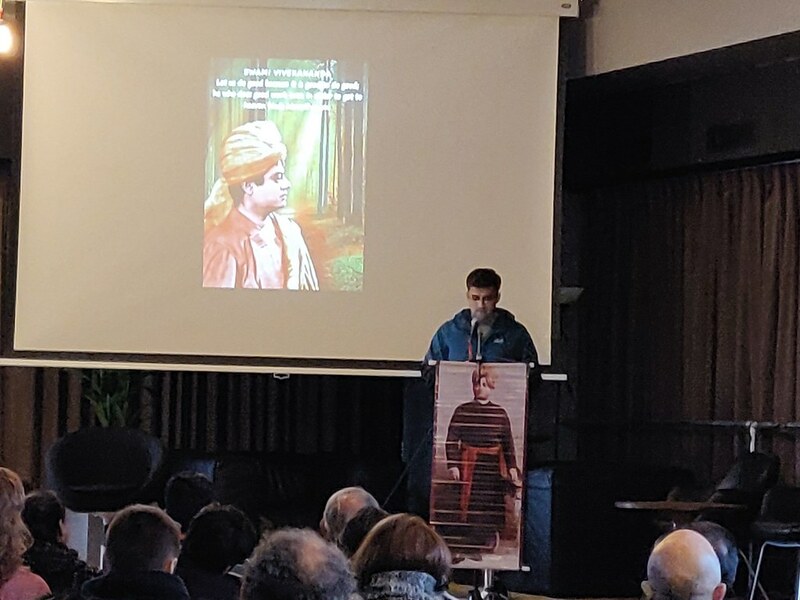 Professor Vishambhar Nath Pandey gave a comprehensive talk on the personality of Swami Vivekananda. 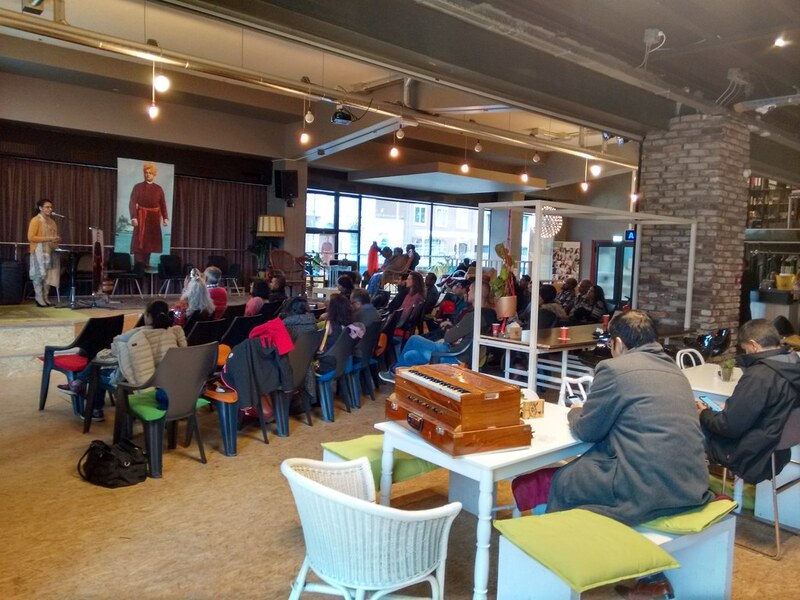 There was a video show about Swami Vivekananda’s life and message. After a coffee interval, the second session began. This session was dedicated to Sanatana Dharma. Mrs Roopanjali Jasrotia rendered a wonderful prayer and song suitable to the occasion. This session was both in Dutch and English. 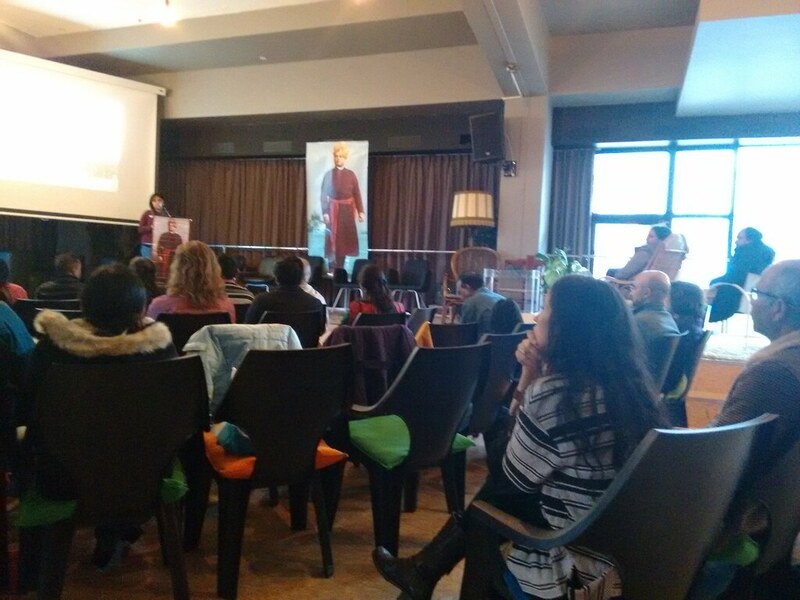 There were six speakers, each one highlighting the importance of certain aspects of Sanatana Dharma. Mr Pieter Scheffe (spoke on meditation), Sri Soorjdan Chander (spoke on dharma), Smt Devika Sharma (spoke on worship), Mr Anshuman Prabhakar (spoke on yoga), and Mrs Sandra Ramdoelare Panday (spoke on mantra, music, bhajans). Mrs Pariksha Ramharakh delivered an excellent slide show about some luminaries of Sanatana Dharma. Dressed as Swami Vivekananda, Aneesha Pandey delivered Swamiji’s most powerful message to the world in a powerful way. All were delighted listening the speech. The third session had exceptional musicians Mrs Anindita Bhattacharya, Mr Koustubha Bhat and Mr Chittabrata Saha. Ms Gauri Vishvanath rendered the vote of thanks. 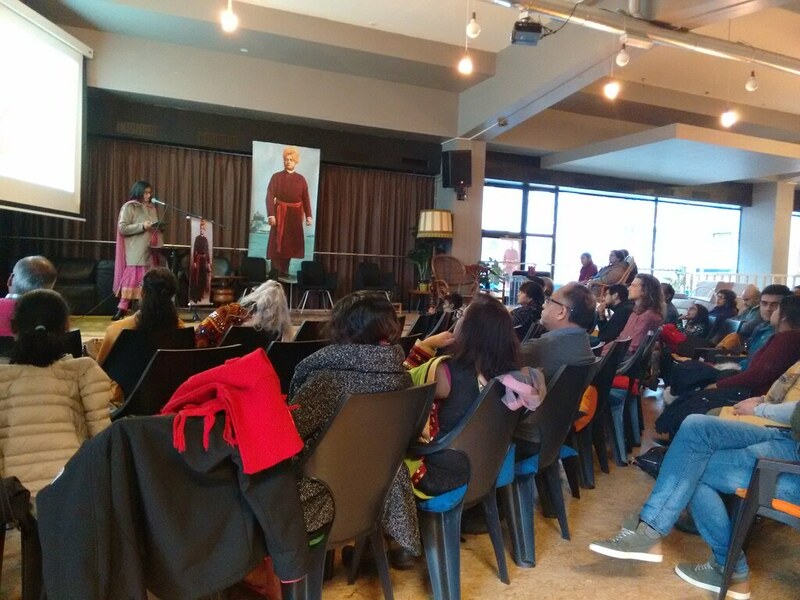 Smt Rashmi Roy from Eindhoven worked towards the success of the event. Mr Partha Bhattacharya was the anchor of the whole event. Refreshments were served to everyone.